On January 14, 1986, at the age of 12 years old, in a two-bedroom apartment in New Hampshire, Matt experienced hope in a way he never imagined possible. On that night, he accepted Jesus Christ as his personal Savior. He began taking every opportunity he had to share this new-found hope with friends and family, and quickly realized that hope changes everything! On January 5, 1993, Matt married his high school sweetheart and the love of his life, Erika. Matt and Erika have seven children – four sons and three daughters – two sons in-law, one daughter-in-law, and one German Shepherd. While serving as a missionary with a world wide children’s ministry, Matt and Erika discovered that they wanted to reach children on another level. Their hearts went out to these children who were hurting, lonely, disadvantaged, and at-risk. On December 16, 2013, they founded Hope for Kids, Inc,. a ministry that reaches kids in need physically, spiritually and relationally. Matt and Erika's vision is to see the lives of children transformed by the message of hope, the Gospel, and as a result, experience healing from the past, help in the present and hope for the future. Download the Curriers' Prayer Card here. 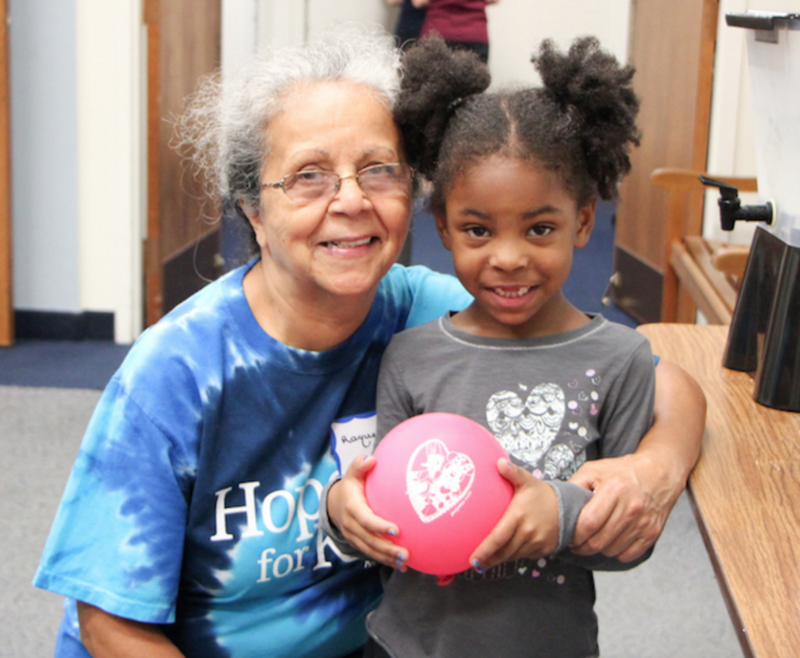 Diane’s gift of administration and a love for helping those in need led her to start working with Hope For Kids. Her desire is to assist Matt and Erika with management so that they can focus on their work with the kids. Prior involvement with managing women’s events and small groups has helped prepare her to take on the role of organizing our fast-growing, multi-faceted ministry. Diane works full-time as an executive assistant for Cumberland Farms. She and her husband Joe live in Palmer, MA. Read Cameron and Megan's blog here! Early in their lives (Cameron at age five and Megan at age four), both Cameron and Megan realized their need for a Savior and committed their lives to the Lord. Before they were married in December of 2017, and even before they were engaged, they both knew that the goal for their marriage would be to work together in full-time ministry. Despite many positive career opportunities, God made it crystal-clear to Cameron in 2016 that the call on his life was to work full-time with Hope for Kids. His vision is to see Satan’s strongholds on the lives of children in Springfield be completely demolished, and to see children renewed with the living hope of Jesus Christ! Megan was called to join the Hope for Kids team after seeing God's incredible work in action during Summer Impact Clubs 2016. She has always loved telling stories through video, photography, writing and digital design, and she is so grateful for the chance to share the stories of hope that God is working in Springfield through Hope for Kids. Cameron and Megan's ultimate goal is to bring the gospel to the children of Springfield, telling them about the God who loves them and has a unique, perfect plan for every one of them. As partners with this ministry they want to be consistently present in the lives of these children, seeing them take hold of eternal hope found only in Jesus and sharing this hope in their own families and communities. Cameron and Megan are so excited to live a lifetime fully reliant on God’s provision and guidance, and to see many souls saved by the power of the Gospel. Download Cameron and Megan's Prayer Card here. Sitting in a biology class one afternoon, seventeen-year-old Jeremiah Boulter realized that God was calling him to be different. “What’s it all for?” he thought. Teachers and peers told him he needed a college degree in order to be successful in life, but God laid a challenge on his heart that he did not need to have a fancy title or education to be used of the Lord, but rather just a willingness to follow God. Two years later, at just nineteen years old, Jeremiah put feet to his faith and set out to prove God for himself by working full time for Hope For Kids Ministries. Even though this meant giving up a promising basketball career in college, something he had worked his whole life for, he could not deny the call of God and chose to move away from everything he knew in New Hampshire to live in Massachusetts and let the Lord provide as He guides. Download Jeremiah's prayer card here. Ellie is the proud mother of the Founder and President of Hope for Kids, Matt Currier. Knowing how busy Matt and Erika were with their many ministry duties, as well as their seven children, and having a desire to be a part of their ministry, she began doing administrative work for them when they were with CEF and then HFK. When the opportunity arose, she volunteered to be the coordinator for Child Protection screening of volunteers for the ministry. Ellie gave her life to Jesus Christ on July 15, 1985. She has served as a Church Secretary, run a Bible and Christian book ministry, worked at a Christian University and is the secretary at her current church, which is pastored by her brother Pastor Robert Oliver. Ellie resides in Manchester, NH. Her interests include reading, computers, cats, and especially Bible prophecy. Marylouise grew up in Springfield as a non-believer who was curious about the Bible but had no real idea of who Jesus is. After several years of “fence sitting” she gave in to the drawing of the Holy Spirit and accepted Jesus as her personal Savior and Lord. She joined a local bible-believing church, where she grew in the grace and knowledge of her Lord and Savior and met her husband (and Hero), Tom. They were married in 1999 and have been involved in missions and outreach opportunities ever since. After hearing a presentation at church from Matt Currier about Hope for Kids, they sensed God’s call to support the ministry financially, and subsequently visited a Club Hope event where she slid right into assisting with the administrative tasks of the ministry as Tom worked with 6 and 7 year-old boys. They are both committed to Hope for Kids and serve in whatever capacity God directs them to. Tom has been a lifelong resident of New England. He is a graduate of Springfield Trade High School and RIT with a degree in Printing Management. Upon return to the area from military service he ventured out on his own with a vision to start his own printing business. He was self-employed for 18 years before transitioning into the mental health field where he was employed for 20 years as a Family Therapist providing outreach services to families and individuals in the Springfield area and surrounding communities. God used him as a light in the darkness where he sought to bring Truth to people hurting from the misery of sin. The transition in his employment was precipitated by his coming to faith in Jesus Christ at the age of 47 and he began attending the Evangelical Covenant Church. He has a passion for the Word of God coupled with loving His Savior and others and a strong desire to fulfill God’s purpose for him in this life. God provided a helpmate for Tom in Marylouise, his hearts companion, where they met at ECC and were married there. They currently are attending First Baptist Church in East Longmeadow, MA where Tom serves as a deacon. Besides involvement with HFK, he leads and outreach ministry through FBC to the Wingate Nursing Home in East Longmeadow, MA. Raquel was born in Comerio, Puerto Rico and came to the United States with her family in 1953 to live in Holyoke, MA. Raquel and her family then moved to Springfield, MA in 1959. Raquel is a single parent of three adult children, and has seven grandchildren, and four great-grandchildren. of Developmental Services (DDS), Western MA Region for 31 years as Service Coordinator. She retired 2013 from DDS, but is working part-time with a group of grandparents who are raising grandchildren with intellectual disabilities with an agency contracted by DDS. She has been involved in community organizing work in Springfield since the mid 60’s. As a human rights advocate, she advocates against the many injustices prevalent in the Springfield communities. In her previous position with DDS, Raquel began a new initiative: Project Roots, a grass-roots initiative reaching ethnically, culturally and linguistically diverse individuals with disabilities and their families in Western MA. Raquel is a 1997 Manuel Carballo Governor’s Award recipient for Excellence in Public Service. She is also the recipient of the 1997 Department of Developmental Services Pride and Performance Award, and has also received other recognition for her dedication and work for human rights and social justice. Raquel accepted Jesus Christ as her personal Savior in 2005. Raquel is currently a member of Iglesia Agape Church in Holyoke; and has been a volunteer with the Hope for Kids Ministry for close to 3 years. Tim was born in Russia and immigrated with his parents to the United States in 1998 when he was only a year and half. He spent 8 years living in downtown Chicopee and attended a Russian speaking church in Springfield, MA. Then Tim and his family moved to Indian Orchard, MA where he attended Catholic private school during middle school. This challenged him to evaluate beliefs he hadn’t heard before and discern what is true in a chaotic sea of information. During his sophomore year at Ludlow High School Tim experienced a crisis of faith, which often hits teens as they are transitioning from believing what their parents do to being personally convicted of truth of the Gospel. Because of this experience, Tim felt called to assist and guide teens in this delicate process and so volunteered in his church’s youth and kid’s ministry. In 2015 Tim moved to the City Church in downtown Springfield where he helps in the kid’s ministry, is one of the leaders in their youth program, and occasionally plays the drums. He is a professional photographer, and biology major at Westfield State University. His plan is to become a science teacher wherever God places him in order to be a light to the students he encounters and to show Gods glory through science. In 2016 he joined Hope for Kids to reach the children and youth in Springfield and joined the Board of Directors in September of 2018. He hopes to use his creativity and desire to reach teens struggling in their faith to assist the HFK team in coming up with solutions that bring the Kingdom of God into the city.